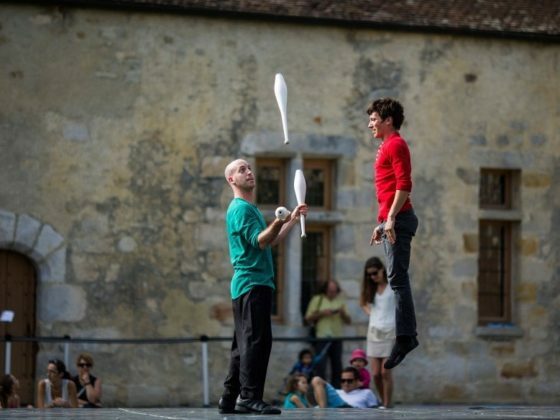 Lazuz (“to move” in Hebrew) is a dynamic meeting between an Acrobat and a Juggler. There to collaborate with each other, they find the task not as easy as they thought. Dancing in between collaboration and conflict, each tries “to move” the other-one, pushing him out of his comfort zone. Sometimes playful, always exciting, often funny, this moving encounter reveals a unusual and awkward synergy. 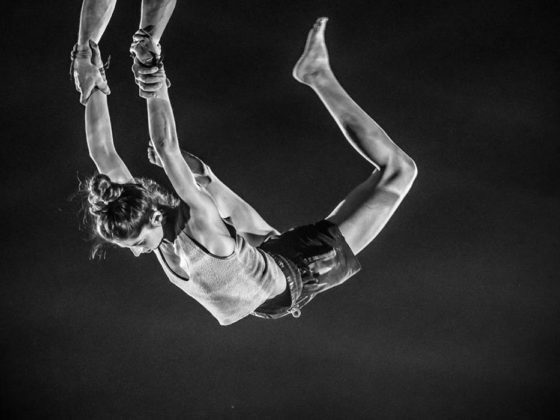 LAZUZ is an Israeli/ French/Swedish contemporary circus company created by Ron Beeri & Itamar Glucksmann. 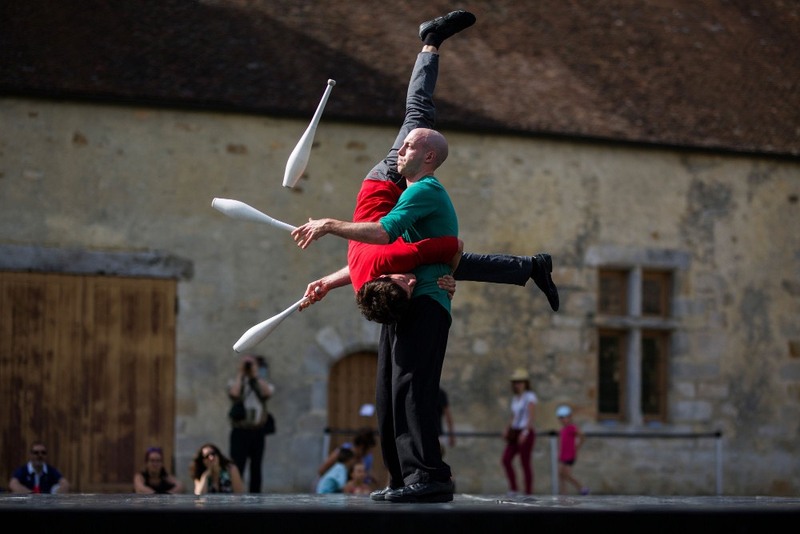 Trough their personal approach Itamar and Ron try to push the contemporary circus art form to new technical and artistic achievements. Both originally from Israel, they are based and have been professionally educated in France and Sweden (Le LIDO / DOCH). In their work they are melting influences both from the Nordic and the French approach to the art form. 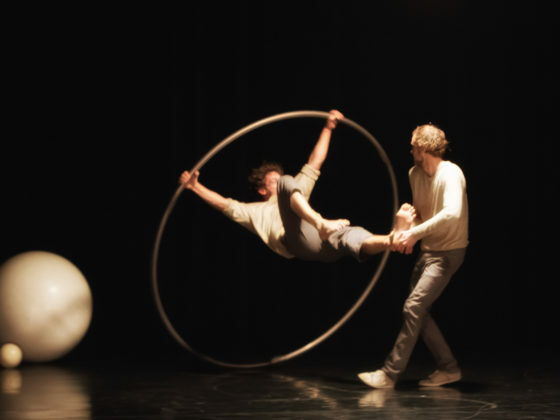 Supported by Subtopia the Company was founded in 2013 in Stockholm when Itamar and Ron conducted an artistic research about movement between a juggler and an acrobat. Based on the material they developed in the research they created a short act, which they have performed in different venues. Inspired by the short act they decided to work on the full-length piece LAZUZ. 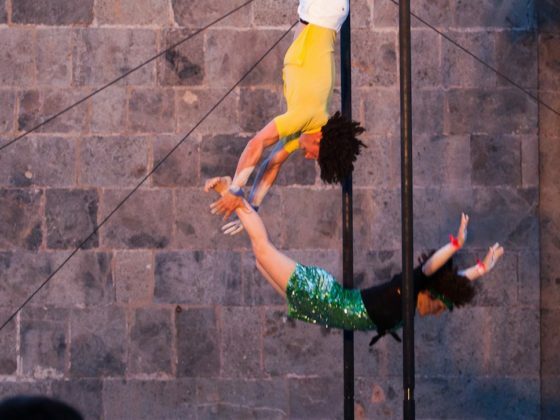 In November 2015 the project was pre selected for CIRCUS NEXT. 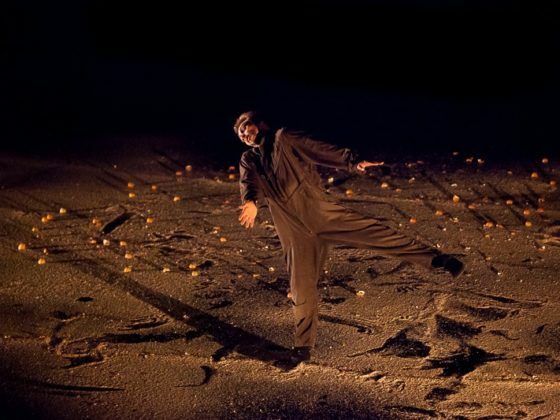 Since then LAZUZ has been supported by La PACT (Le Lido and La Grainerie) in Toulouse and Espace Catastrophe in Brussels. 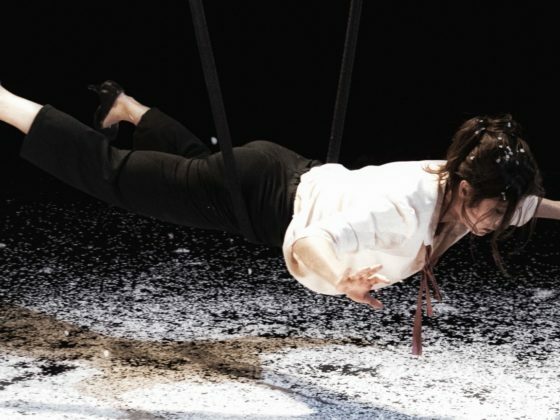 Beside the creation of the show LAZUZ, the company has been involved in different European projects and collaborating with other contemporary artists. Itamar & Ron are also giving workshops for professional artists, which are based on the method they have created during their research.